What's the Juicer from Sick, Fat & Nearly Dead? What Juicer is used in Sick, Fat & Nearly Dead? Home » Juicing » What Juicer is used in Sick, Fat & Nearly Dead? 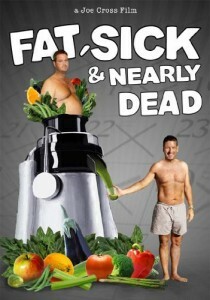 Fat, Sick and Nearly Dead is a documentary made by Joe Cross, an Australian who travels to America on a quest to get healthy. But Joe isn’t looking for health solutions in America, he’s brought his own solution with him that he tests on the road for 60 days…a juicer…that’s it. All Joe consumes for sustenance is green juice. We loved watching the show and when it showed his juicer, we were excited because it was the same brand that we have and enjoy a Breville. Our juicer is the Breville Juice Fountain Elite (a bunch of Stainless Steel Power), but Joe’s Juicer was a little different looking although the same brand. 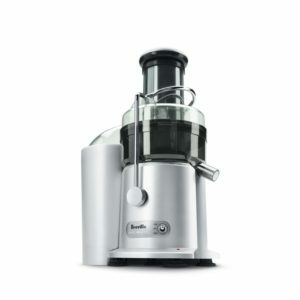 According to the Breville site, the juicer that Joe was using was a Breville Juice Fountain Plus. The Juice Fountain Elite and the Juice Fountain Plus are both great juicers both with hundreds of reviews on Amazon. They’re both very popular models. We’ve enjoyed our Juice Fountain Elite and it’s stainless steal parts, but the Juice Fountain Plus is also a great option especially for the cost savings since it’s less expensive. You can see the Juice Fountain Plus and read the reviews for it on Amazon here.